Just above is a recent zip code map of the entire greater Las Vegas Valley which also includes Henderson and North Las Vegas. 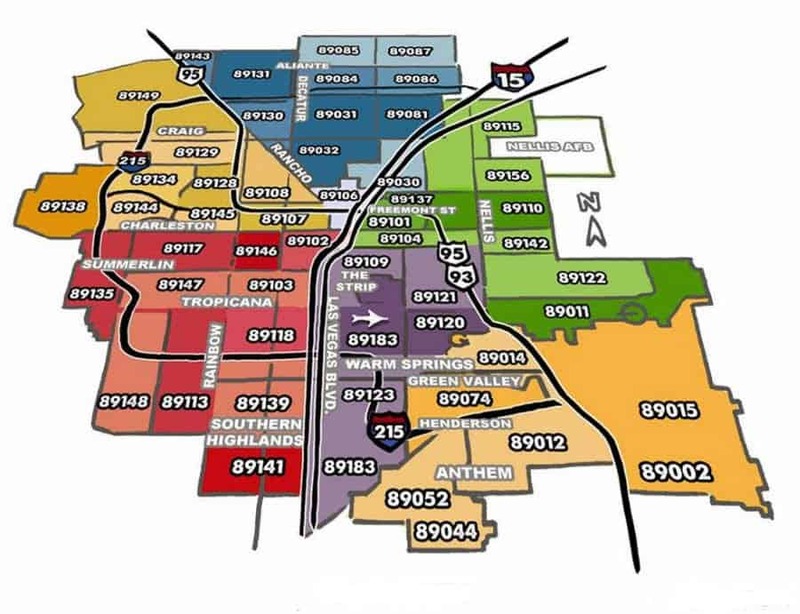 For your convenience we have also provided direct links to search all Las Vegas homes for sale by zip code. We have also broken down segments of town that many home buyers are searching in. The Heuser Team wants to be your one stop Realtor to answer all of your questions. Call us today at 702-748-8100.